Most of the users of Samsung Galaxy device are well aware of a common problem ” Error while searching for network “. This error comes whenever we are facing Not Registered on Network issue or problem with network provider. 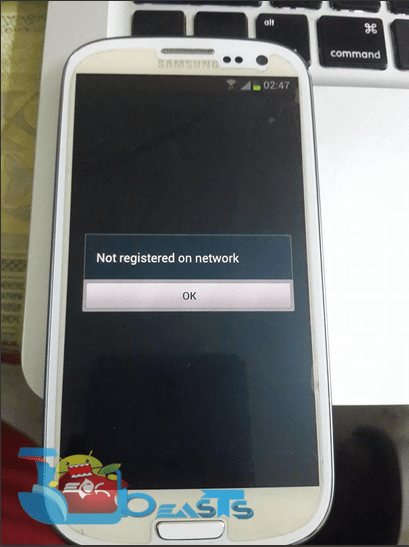 Today in this guide we are going to tell you how to fix ” error while searching for network ” on Samsung Galaxy devices. Follow all the steps carefully in order to fix Samsung Galaxy error while searching for network issue. You can also use this guide to fix ” your sim card does not allow connection for this network “. Now while you are in Mobile Network menu press home + Power button until your device is turn off. Check that you device is completely turned off. Now remove your battery. Now press Home + Power button 10 times properly. After that press and hold Home + Power button for 2 or 3 mins. Now insert the battery back and turn on your device. Don’t attach the back cover yet. When your device is booted up remove and insert sim card for 3 times. Now you have to restart your device when say so. After your device is rebooted the issue of ” error while searching for network ” will be gone for good.